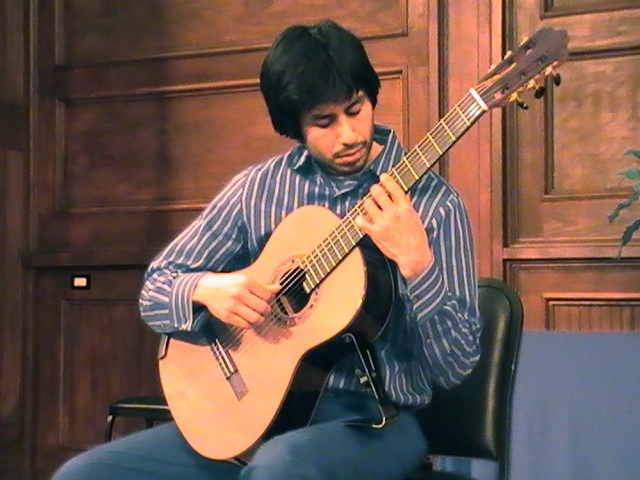 This is the website of Cesar Gomez, a classical guitarist based in the Austin/San Antonio area. Come out and hear me live! I will be playing at Palmers Restaurant (218 Moore Street, San Marcos, TX (512) 353-3500) the first and third Sundays of the month from 11:30AM to 2:30PM. Please come out and enjoy some great food and beautiful music. Please explore the site or contact me about any questions you may have. Cool website. You look like a pretty cool musician. Cool repertoire.